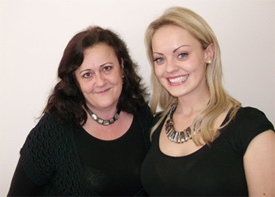 Established in 2011 by Astrid & Sue, View is an independent letting & estate agent covering Cardiff & The Vale of Glamorgan. Whatever your property needs might be, you want to be confident that your individual requirements will be listened to and respected... that's where we step in! With combined experience of over 20 years in property management and sales, we understand the importance of providing an efficient, professional and yet personal service. We've built our business primarily on personal recommendation, a result of focusing upon on good old fashioned customer service and providing our clients with a sense that they are truly valued. Our aim is to alleviate the stress and hassle usually associated with selling, buying, renting or letting a property and as a small business we are able to offer a level of service beyond compare... consider us your property personal assistants!